Variations In A Gene Provide Clues About Schizophrenia : Shots - Health News Scientists studied the genomes of more than 64,000 people and found that those with the debilitating psychiatric disease were much more likely to possess mutations of a particular gene. 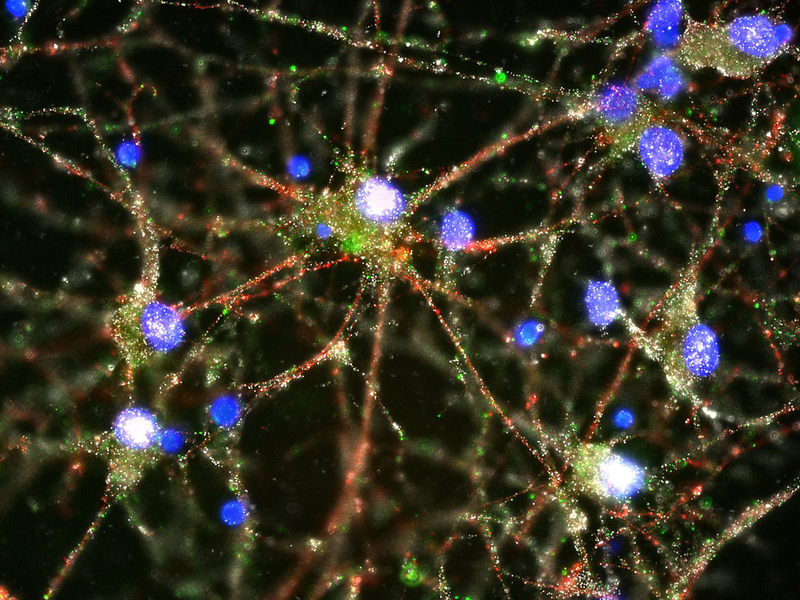 Schizophrenia might be linked to a gene that tells the immune system to destroy too many connections in the brain, according to the results from a massive gene-focused research effort. Scientists at Harvard University and the Broad Institute studied the genomes of 64,785 people around the world and found that those with the debilitating psychiatric disease were much more likely to possess mutations of a common gene, according to the findings published this Wednesday in the journal Nature. Today schizophrenia patients are treated with antipsychotics, which can help reduce some symptoms but don't address the underlying disease or its related cognitive impairment. But the identification of a key genetic factor, may help the search for therapies. Of course, the path from a gene to an effective drug is long and not guaranteed. Neuroscientist Beth Stevens, one of the authors on the new paper, is an associate professor of neurology at Harvard and a 2015 recipient of a MacArthur Foundation "genius grant." I talked with Stevens about the work. Here are highlights from our conversation, edited for length and clarity. What has made the search for the causes of schizophrenia so challenging? We knew about the region for a long time based on genetic-association studies. But there are a lot of genes there, and no one gene had been identified as explaining this risk before. When [co-author] Steve [McCarroll] came to me with preliminary data to support the genetic link with C4, I was very excited because my lab had been studying the role of other immune-related proteins in brain development—in particular synaptic pruning. We had made some progress in understanding what proteins do in normal development. And given that schizophrenia is thought to be a neurodevelopmental disorder, this is really exciting. With the evidence that there was some synaptic loss, it led to the hypothesis that maybe this genetic link could be related to pruning. We were also fortunate enough to bring in a third lab, Michael Carroll, who is an immunologist who has been studying C4. So to really make progress in a question like this, it takes that kind of an interdisciplinary approach. Is C4 involved in normal, healthy synapse pruning as well? We know it's necessary for pruning the developing mouse brain. But we do not know [about its role in humans] like we know for the mouse. 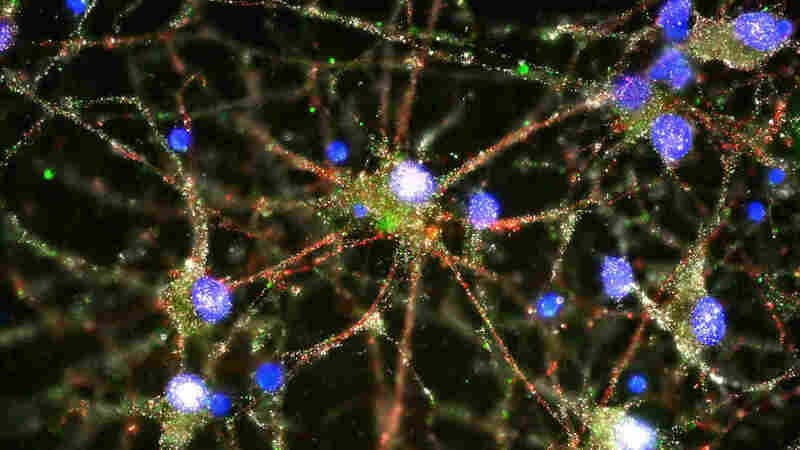 With the involvement of the immune system in this synapse pruning, could schizophrenia be classified as an autoimmune disease? No, this is not autoimmune. What this is showing us is that a gene that happens to be an immune system gene is involved. The last decade has shown that there are a lot of immune-related genes that are expressed in the normal healthy brain. They're repurposed in the brain to do important things—during development especially. And we have evidence that this is a gene and a pathway that is expressed in the brain and is playing a normal role in the brain. What do these findings suggest for new treatment possibilities for schizophrenia? Understanding how this pathway normally works in the developing brain will give us new insights into developing therapies. You have to be able to manipulate things in a specific way, in the right place—and that's not an easy thing to do, especially during development. Are there drugs that could be applied or reworked to treat schizophrenia on this genetic level? Emerging work from my lab and others is suggesting that this pruning pathway may be a more general process that could lead to synaptic dysfunction and loss in other diseases. The hope is if we understand its role in schizophrenia, it could provide insights into other diseases. For example, in other neurodegenerative diseases there may be some common pathways. Do you think that some day, knowing about this aspect of schizophrenia, the disease could even be prevented? There's a clear need for biomarkers in schizophrenia and other diseases. You really want to catch them early and think about early treatments. We're looking into ways to find biomarkers. That's something that I think will make a huge impact. Katherine Harmon Courage is a contributing editor for Scientific American and a freelance journalist. Her next book, Cultured (Penguin Random House, 2016) is about the microbiome and diet. Follow her on Twitter: @KHCourage.